Mountain biking shorts for kids need to be functional and comfortable. The five pairs listed here fit both of those categories, as they are made from fabric that stretches and breathes, feature useful pockets and reflective patches, and are even designed to grow with your child (within reason, of course.) These are some of our choices. No lycra for this round. Maybe one of these will end up as your child’s new favorite pair of mountain bike shorts, as well. These sturdy shorts have withstood several months of summer riding including a slide-out crash that removed a few layers of skin under the shorts – which did not rip. The shorts are made up of 2-way stretch polyester that (as we have tested) is durable and abrasion resistant. 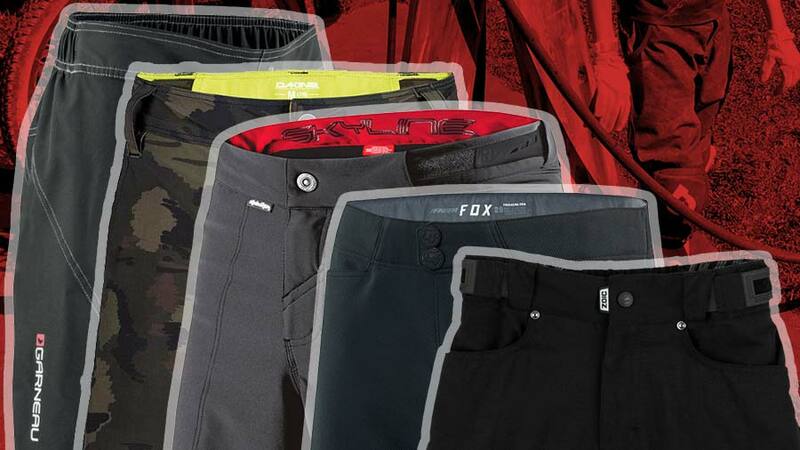 Fox designed the shorts with their “trail fit” system which is basically just an adjustable waistband that keeps the shorts in place when doing all different types of riding. The liner is detachable which is nice for times where you don’t need it such as when riding downhill. The leg holes are also well sized so knee pads don’t get snagged. The liner’s chamois is not too thick which is preferred by a lot of trail riders. The freedom of movement in these shorts is another benefit. Unlike regular everyday shorts, these won’t hinder legs from spinning at all! You will also be no doubt happy to hear that the shorts feature pockets to safely hold cards, keys, or whatever else you or your little one may need on the trail. There are two hand pockets, and two cargo pockets. The left pocket has a zip closure (perfect for a lift pass), where the right has a Velcro closure. Spending quite a bit of time on a mountain bike requires a comfortable pair of shorts. 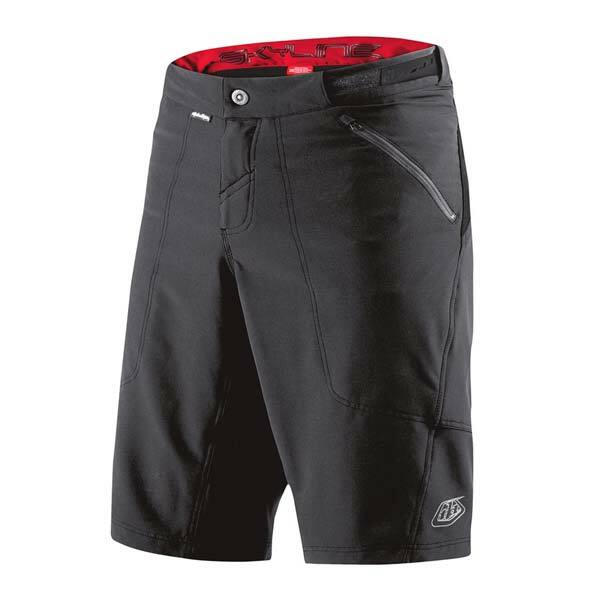 Between the lightweight, stretchy fabric, adjustable waist tabs, and pockets, the Troy Lee Designs Skyline shorts are both comfortable and practical – just what your child needs for your next family mountain biking excursion. These shorts are available in sizes 24 through 28. They boast reflective logo sections, making it easy for motorists and other mountain bikers to spot your daughter while she’s pedaling away. The fabric is a breathable polyester blend, so it won’t collect sweat and make the ride miserable. These shorts come with a stretchy, spandex back panel, ensuring an extra bit of comfort where it’s needed the most. On top of that, the side pockets zip shut, so your young one won’t lose anything while on the trail. Our camouflage patterned shorts are designed to fit comfortably, thanks to their adjustable waist and incredibly stretchy, yet breathable fabric. The waist adjusts in several different ways, including a closure at the front that features a hook and a loop. There are also gussets on the interior to give your child a little room to grow. If all of that fails, the shorts also have belt loops, so if you have to buy a pair that’s a little big, they won’t fall down while on your next trail ride. 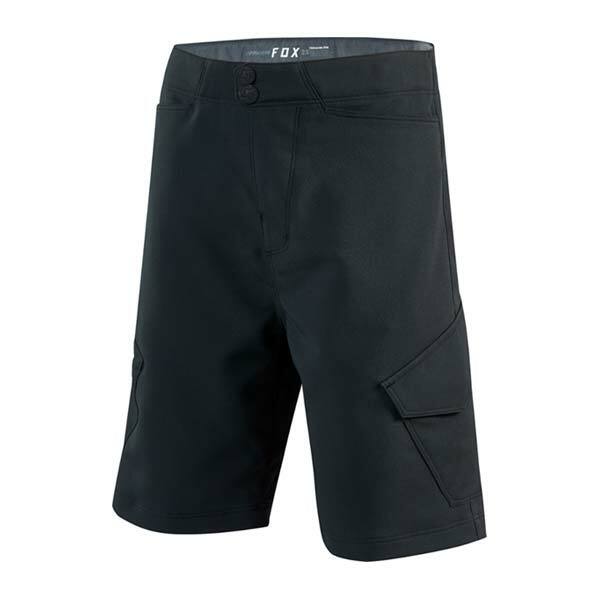 These Dakine Pace shorts come in various sizes, all unlined and made of a polyester and spandex blend. The front pockets are comfortably aligned, ready to hold important things (like bags of trail mix) or keep your child’s hands warm on chilly morning or evening rides. As if that weren’t enough, the shorts come with a limited lifetime warranty that protects against manufacturing defects. 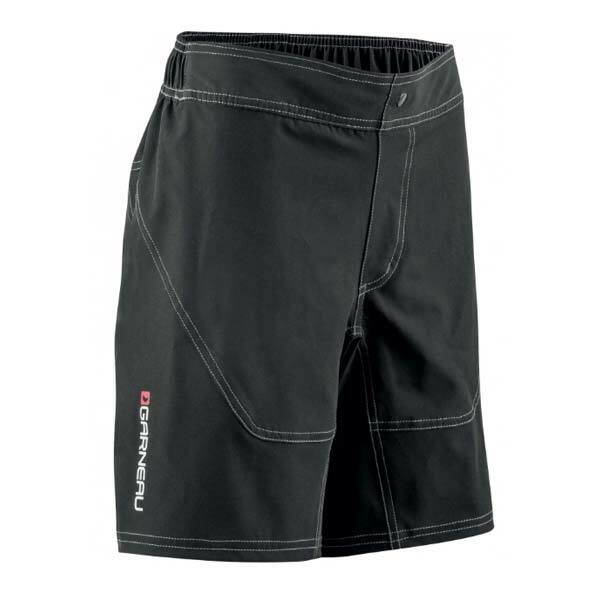 Thanks to the sewn in, cushiony chamois at the waist, this pair of mountain biking shorts, made by Louis Garneau, boasts extra comfort. When combined with their patented Rhino stretch fabric, these shorts are as durable as they are comfortable. The fabric liner wicks away moisture, adding yet another layer of greatness to these simple shorts. On the outside, the exterior has some reflective panels for additional protection, which makes sense given that the shorts only come in the color black. These are available in sizes ranging from large to extra large, although the elastic back waist has some give to it. As far as pockets are concerned, the only one is on the back, and it has a zippered closure. While your child can’t store too much in the pocket, whatever does end up in there will stay put. 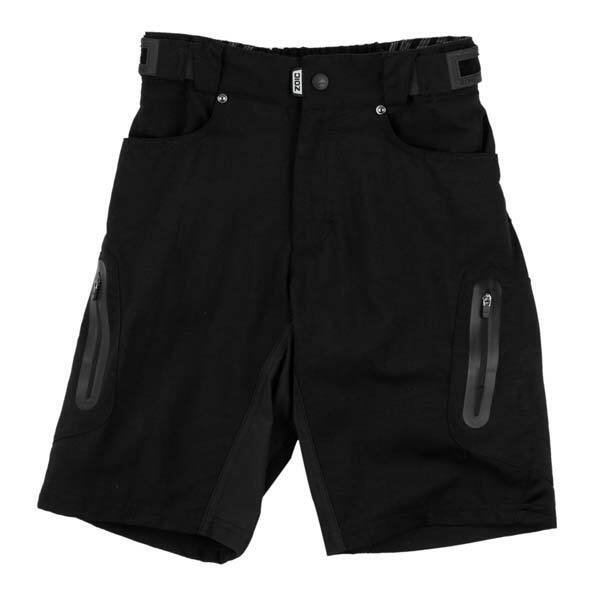 ZOIC designed this pair of shorts – the Ether Jr. – to be a smaller version of their popular adult style. In essence, these shorts have all of the bells and whistles, just in different dimensions. Their exterior is made of dobby nylon, while the full lining consists of polyester and spandex, for a combination of comfort (on the interior) and stylish function (on the exterior.) The fabric is designed to wick away moisture as well. The shorts have an amazing five pockets, and one is a media pocket designed specifically to hold an MP3 player or phone. They come in sizes ranging from small to extra-extra-large. Between the loose fit, the adjustable waist, and the flat fronted waistband, these shorts might just be the pair that your child doesn’t want to take off.